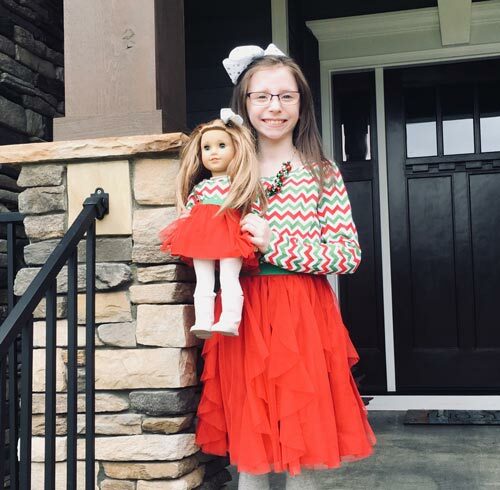 Aubrie's Story, Age 10 - The Anti NMDA Receptor Encephalitis Foundation Inc. The Anti NMDA Receptor Encephalitis Foundation Inc.
Our nightmare started in April of 2017. My then 8 year old daughter, Aubrie, started having unexplained partial focal seizures. We took her to the ER and they kept us for 3 days and diagnosed her with epilepsy. After we were home for a few days, she had a grand mal seizure and we had to call an ambulance. We were taken to the hospital but sent home with an increase in her seizure medicine. I had noticed that Aubrie was getting weak on her left side and would just fall while walking so I called the neurologist and we were seen the next day. While we were at her appointment, her left arm was involuntarily moving and would not stop. Her head would also turn to the left and she could not make it stop. The neurologist thought she was having a seizure and not coming out of it so she sent us to the Children’s Hospital in Charlotte, NC. That was on May 10, 2017, we would not leave the hospital until August 1, 2017. While we were in the hospital, she lost her ability to eat, walk, and talk. She was finally diagnosed with anti nmda encephalitis. Her treatment consisted of steroids, plasmapheresis, and rituximab. Aubrie slowly got her physical strength back and we were able to remove her feeding tube on Halloween 2017. It was almost a year before she got her voice back (June 2018). Aubrie is now 10 and she is doing wonderful! She is back in school and gymnastics and is 95% back to herself. She is one year behind in school because she was not able to attend school at all the 2017-2018 school year but I will take it! I am so thankful to have my sweet girl back!